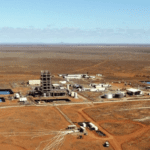 Boss Resources has completed the first phase of its restart assessment at the Honeymoon uranium mine in South Australia as it works towards a potential 3.2 million pounds a year operation. The Phase 1 assessment confirmed Boss’ predicted costs and schedule to restart production at Honeymoon. The studies are part of a three-phase restart strategy where, upon completion, Boss will be in a position to make a decision to mine. Results from the Phase 1 solvent extraction and precipitation assessment identified modifications to improve the circuit, as well as changes that may increase the efficiency of the whole process, according to Boss Resources’ managing director Duncan Craib. “We’re really pleased with progress and results at Honeymoon through Phase 1 of the restart strategy. Today’s announcement further validates the comprehensive pre-feasibility study (PFS) as reported in May 2017,” Craib said. 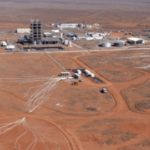 Honeymoon will ramp up to two million pounds triuranium octoxide (U3O8) equivalent following its mine restart, before adding further ion exchange systems to bring the plant to 3.2 million pounds of capacity per year. The mine, which was placed on care and maintenance in 2013 by previous owners Uranium One, is geared to be in the lowest cost quartile of worldwide producers under Boss. The Phase 1 assessment results will be reviewed more thoroughly as part of the definitive feasibility study (DFS) and to achieve an acceptable risk profile for Honeymoon. Boss has also commenced the Phase 2 of the restart strategy and expected to release the results in the third quarter of 2019, with Phase 3 following later in the year.